SANTA ROSA, Calif.,—Inspired by Saralee McClelland Kunde’s lifelong passion for educating area youth about agriculture, Sonoma County’s winegrowing community has renamed its annual youth pruning contest to “Saralee’s Sonoma County Youth Pruning Contest” in her honor. The 2015 event will be held on Saturday, January 17, 2015 with registration check-in beginning at 9:00 am. This event will be at SRJC Shone Farm, 6225 Eastside Road in Forestville, CA. Saralee’s Sonoma County Pruning Contest is open to all Sonoma County youth, including 4-H, FFA and High School students in the following age brackets: Ages 9 – 11, Ages 12 – 13, Ages 14 – 15, and Ages 16 – 18. The Viticulture Challenge is also open to students aged 5-18. Medical insurance coverage is required of each pruning participant. 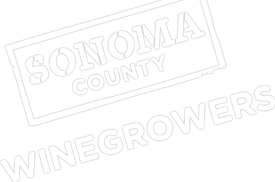 The Sonoma County Winegrape Commission, also known as the Sonoma County Winegrowers (SCW), is a marketing and education organization dedicated to the promotion and preservation of Sonoma County as one of the world’s premier grape growing regions. SCW has oversight by California Department of Food and Agriculture which supports producer regions. With more than 1,800 growers, SCW’s goal is to increase awareness and recognition of the quality and diversity of Sonoma County’s grapes and wines through dynamic marketing and educational programs targeted to wine consumers around the world.